Only about 2% of total Medicare spending is dedicated to primary care under a narrow definition of the term, a ratio that RAND Corp. researchers found surprisingly low in their analysis. The researchers used both narrow and broad definitions of primary care in their study, published in JAMA Internal Medicine on Monday. Broad primary care made up 4.88% of Medicare spending, compared with 2.12% under the narrow definition. By comparison, primary-care spending averages 7.7% across commercial PPO plans, a 2017 Milbank Memorial Fund study found. 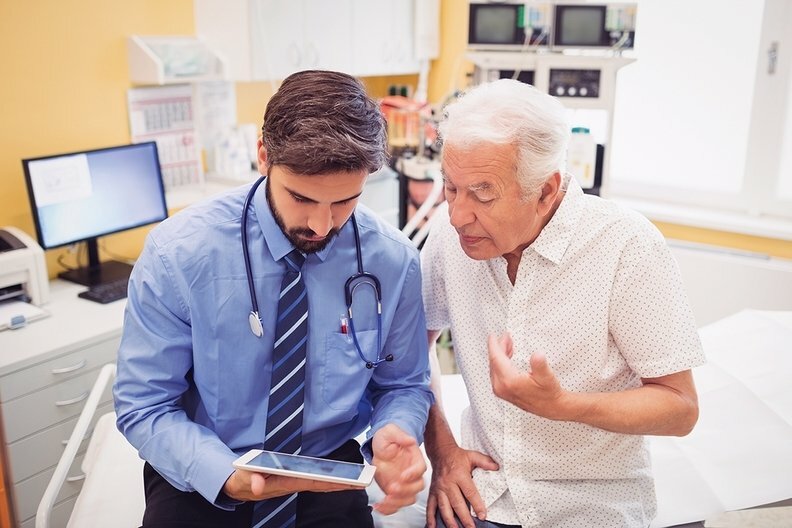 "We knew that as you look at older and older age cohorts, that primary-care spending falls, but it's still a little galling to see a percentage that low," said Dr. Mark Friedberg, a co-author of the study and director of RAND's Boston office. Primary-care spending dipped to 1.76% among beneficiaries 85 and older, compared with 2.12% for all beneficiaries using the narrow definition. "I think it's criminal it's that low," Dr. Andy Lazris, co-chair of the Right Care Alliance's Primary Care Council, said of the study's findings. "We know that higher spending on primary care translates to better results and lower costs." The RAND study found wide variation in primary-care spending by state and did not draw a correlation between primary-care spending and the number of primary-care providers per capita in a state. Friedberg, a primary-care physician, noted that on a dollar basis, primary-care spending actually increases among beneficiaries 85 and older, but total spending—including hospitalizations, specialist visits and surgeries—rises at a faster pace as beneficiaries get older and sicker. Spending was also lower for black beneficiaries, at 1.76%, and North American Native beneficiaries, at 1.51%. The study used 2015 Medicare spending data covering 16.2 million beneficiaries, including Parts A and B medical coverage and Part D prescription drug coverage. The narrow primary-care definition included family practice, internal medicine, pediatric medicine and general practice providers and was limited to services like preventive visits, screening, counseling, and evaluation and management. The broad definition included nurse practitioners, physician assistants, geriatricians and gynecologists as well as all professional services billed by primary-care providers. Previous studies have used primary-care provider head counts as a measure for how primary-care-oriented states are, but Friedberg said his study found states with the highest spending ratios were not the ones that had the most primary-care physicians per capita. "This has very little do with head counts, actually," he said. Rather, he theorized it might have more to do with the local culture in each state. In some areas, it might be the norm for everyone to have a primary-care physician they see regularly, whereas in others, people see ear, nose and throat doctors whenever they have a cold. Lazris said he thinks there's truth to that. Where he practices as a primary-care physician in Maryland, people commonly see specialists, such as cardiologists, for primary care. He guesses that's probably more likely the case in affluent areas, although he doesn't have data to support the theory. "I definitely agree that it's very cultural," he said. Lazris suggested in a recent Health Affairs article that one solution to fixing primary care is to get more young clinicians to enter the field. He said he doesn't think the study's lack of correlation between the number of primary-care providers and primary-care spending is at odds with that view. That's because even if a state has a lot of primary-care providers, that doesn't mean they all accept new Medicare patients. Lots of practices have hit their Medicare quotas or are concierge practices whose patients pay out of pocket, he said. Lazris' own practice is about 80% Medicare. He's been trying to hire a new primary-care provider for five years. "It's a real shortage right now," he said. "If we got two or three primary-care providers, we have enough phone calls a day of people looking for Medicare doctors, we would fill them up instantly." Lots of providers don't want to deal with Medicare because in addition to the low reimbursement, it involves arduous rules and audits that could result in money being recouped, Lazris said. Chris Koller, president of the Milbank Memorial Fund, which provided funding for the RAND study, said he was most struck by the disparities in spending between states. Primary-care spending was found to be as low as 1.6% of total Medicare spending in North Dakota and as high as 3.2% in Hawaii using the narrow provider and service definitions. He said that's an area that deserves further research. "Why should Wyoming be so much different from Montana, its neighbor to the north?" he said. "It's really interesting." When Koller was Rhode Island's health insurance commissioner, he instructed commercial insurance carriers to increase their primary-care spending ratios by 1 percentage point a year for five years beginning in 2008. For the state's largest insurer, Blue Cross and Blue Shield of Rhode Island, that meant primary-care spending went from 5.8% in 2008 to 11.8% by 2015. Oregon also has a mandatory primary-care spending minimum. "What you're doing is you're giving the health plans an excuse to do what they know is the right thing, which is to spend more money on primary care and less money on specialty care," he said. A February Health Affairs study found that effort, along with price controls, helped lower quarterly fee-for-service spending by $76 per enrollee on average, a decline of 8.1% between 2010 and 2016. Prior to 2010, that population's annual spending had increased by about $22 per quarter on average. The CMS has indicated it won't increase Medicare's primary-care spending, and Lazris said he hopes this study will help the agency see it needs to change that stance. "If that comes out into such a small number, I think it should wake up Medicare to say, 'I think we should invest a little bit more in this,' " he said.